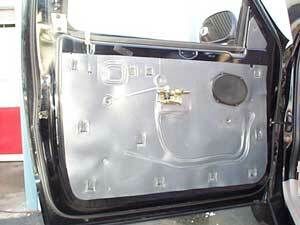 Once the door panel has been removed and placed aside, the door handle linkage is marked and the plastic clip is opened up. 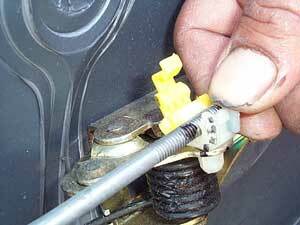 It is important to mark the rod so that it can be reinstalled in the same position later. The rod is popped out of the clip and laid to the side.